NEW YORK, June 29, 2018 /PRNewswire/ -- Prestige skincare brand SK-II teams up with American actress Chloe Grace Moretz and world-renowned photo cooperative Magnum Photos in a statement making artistic movement - the #BareSkinProject - to make a bold affirmation to the beauty of bare skin. It was a first for Moretz to be photographed bare skin with no makeup by world-renowned Magnum Photos photographers - Christopher Anderson and Alessandra Sanguinetti. To offer the most authentic vision of bare skin beauty, there was also no skin retouching for all her photos in the #BareSkinProject. 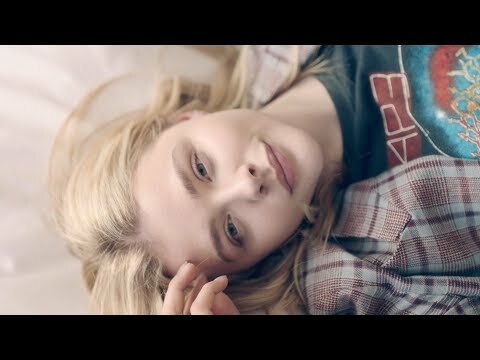 Moretz shared her journey of getting bare skin ready with SK-II's signature Facial Treatment Essence, unfolding emotions of doubt, excitement, and pride in an intimate film - https://youtu.be/u-hwQk5l9gc. It was so refreshing to hear about a campaign that aims to embrace women's natural beauty and spark a movement of authenticity and confidence. I knew that this was a perfect fit for me and what I represent. I was a bit anxious as this would be the first time I'd be photographed without makeup, but I was incredibly excited to be included in the project. What does going bare skin means to you? I think they will be excited about the authenticity of the project and the message of empowerment. This is such a naturalistic campaign and different from what I've done so far, which usually involves getting into character to become someone other than myself. With the #bareskinproject, it was really refreshing to just be me and to let natural beauty and glow shine through. How did you prepare for the shoot? Do you see any change in your skin after using SK-II's Facial Treatment Essence? Did using the product made you more confident during the shoot? I started using SK-II's Facial Treatment Essence in the day and at night to help my skin lock in moisture. I felt that SK-II's Facial Treatment Essence has 100% helped my skin – I wake up with a natural tone and glow to my complexion. It has given me clear and glowing skin which made me feel so much more confident on set. What was your experience like shooting for the #BareSkinProject and working with world famous Magnum Photos photographers – Christopher Anderson and Alessandra Sanguinetti? It was a very exciting experience. From the video shoot to working with Christopher Anderson to working with Alessandra (Sanguinetti), each shoot was very different and multi-faceted. It was nice to be able to show my bare skin journey through the short film that showcases the whole shooting experience with the two photographers – Christopher and Alessandra. Both of them were really professional and fun to work with and I really enjoyed the process. I think it's great that a massive brand like SK-II is backing real raw beauty and allowing me to be completely bare skin and show who I am to the world on a global campaign level which I think is so shocking, incredible and exciting. It's the right step forward in 2018 and personally, it felt very invigorating and freeing. I felt very confident after the shoot and I think even more so, I would wear my bare skin as a badge of honor now. Embrace who you truly are! You don't need to hide behind anything, including makeup. You don't have to follow societal norms. Take care of your mental and physical health. I find that mediation, yoga and a daily workout keeps me grounded, focused and helps with confidence. Along with Moretz, the #BareSkinProject rallied five other global celebrities – Chun Xia, Kasumi Arimura, Mayu Matsuoka, Ni Ni and Tang Wei who have also boldly taken on the challenge to reveal their bare skin for the first time with the help of SK-II's Facial Treatment Essence. The portraits and short films of Moretz and the other five celebrity muses are also displayed in an online exhibition on SK-II's Instagram page, which launched earlier this month. The #BareSkinProject online exhibition explores different facets of bare skin beauty and women's relationship with their appearance. Moretz has also shared her portrait and journey on her social channels, encouraging fans to visit the online exhibit. For more information and to see exclusive Bare Skin Project content, follow SK-II on Instagram at https://www.instagram.com/skii/ or visit https://www.sk-ii.com/bareskin. Since the discovery of Pitera™ more than 37 years ago, SK-II's iconic bestseller Facial Treatment Essence has helped millions of women around the world achieve crystal clear skin. SK-II's signature ingredient Pitera™ is a bio-ingredient containing over 50 micro-nutrients such as vitamins, minerals, amino acids and organic acids. Pitera™ helps condition skin, lock in moisture from within over time and soothes skin concerns caused by external aggressors such as UV and pollution. Formulated with over 90% PiteraTM, SK-II's Facial Treatment Essence helps transform skin to beautiful bare skin– reducing the appearance of wrinkles, giving a more refined skin texture, leaving less visible spots, improving firmness and elevating radiance. For more than 35 years, SK-II has touched the lives of millions of women around the world by helping them to #ChangeDestiny through the miracle of crystal clear skin. The fascinating story behind SK-II begins at a sake brewery in Japan, where scientists noticed the elderly workers had wrinkled faces, but extraordinarily soft and younger-looking hands. A rigorous search of more than 350 kinds of yeast was conducted before SK-II's researchers discovered the unique yeast strain from which Pitera™ is naturally derived. Pitera™, exclusive to SK-II, is the cornerstone of the brand and transforms the five dimensions of skin – texture, radiance, firmness, spot control and wrinkle resilience – that lead to crystal clear skin. A leading skin care brand in Asia for years, SK-II is now becoming a beauty must-have in the U.S. with its best-selling and award-winning Facial Treatment Essence, Facial Treatment Mask and GenOptics Aura Essence serum. For the latest news and in-depth information, please visit http://www.sk-ii.com/.